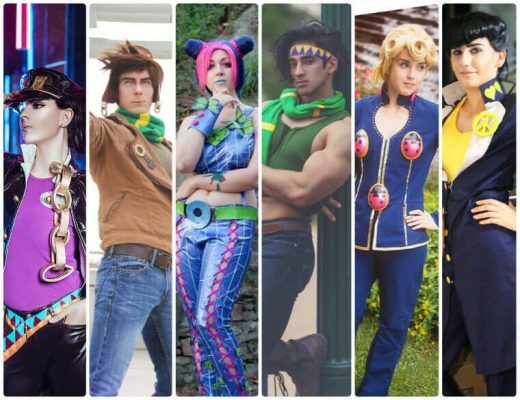 My Hero Academia is a popular manga and anime series that is about superheroes. It is set in a world where superpowers are normal because of quirks. It is a special superhuman ability that any individual can possess. The series centers on a boy named Izuku Midoriya, who was born without a quirk, an unusual thing in a word where quirks are normal. Izuku is also known as Deku. Despite not possessing any quirk, Izuku possesses innate heroism that manages to catch the attention of the hero All Might. This turned Izuku to be All Might’s closest pupil at the U.A. High School. All Might also passed-on his One For All quirk to Izuku, making him the 9th holder of this powerful quirk. 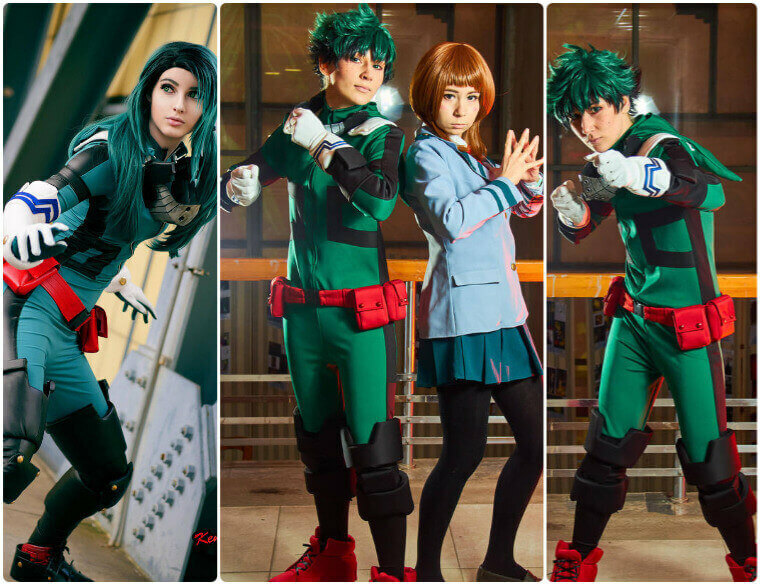 Being the main character and protagonist of the series, Izuku is one of the favorite characters to cosplay in. Izuku has worn a lot of different outfits all throughout the series, but he is mostly known to wear his U.A. High School Uniform. He is also commonly seen wearing his battle uniform and his U.A. gym uniform. One of the outfits that you can dress up in, and is his most common appearance, is the where he is wearing his battle suit. This cosplay set comes with this battle suit, which is a green full-body jumpsuit that black lines designed on the side and arms. It also comes with a red belt and white gloves. If you prefer a different outfit, you can dress up as Izuku wearing his U.A. high school uniform. The My Hero Academia school uniform consists of a light grey blazer over a white long sleeves polo and red necktie. It also comes with dark green pants. The third outfit is the U.A. gym uniform he wore when his battle suit was being repaired. The gym uniform is a blue tracksuit that has white thick lines designed on it to form the letters U A. 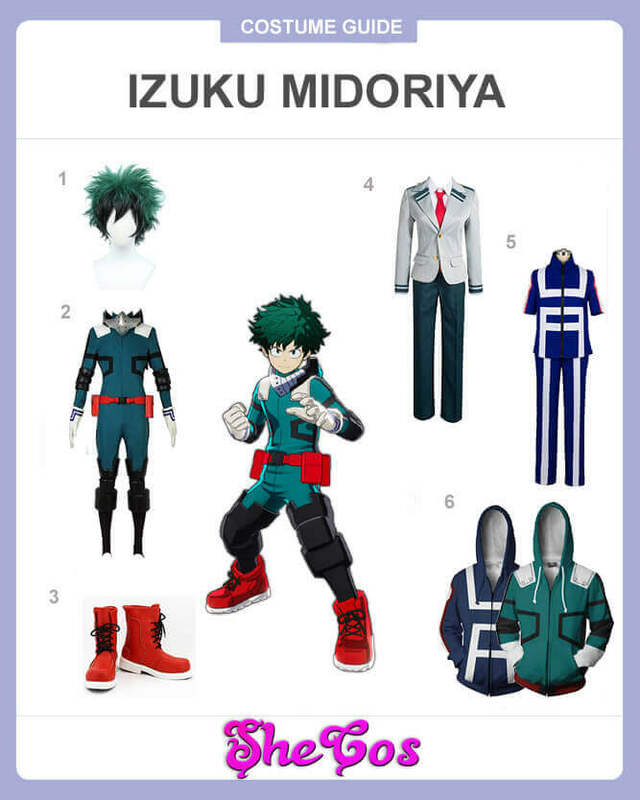 The cosplay set also comes with red boots, which Izuku is known to wear, and his short green messy hair. It also comes with the My Hero Academia sweater in various colors. Izuku Midoriya is known to be a polite, helpful, and timid boy that usually overacts to abnormal situations. His reactions also result in having exaggerated expressions, which makes for a funny scene. He does have an unfortunate childhood, as he was bullied frequently for not having a Quirk. He didn’t let his disability hinder him from his dreams of becoming a hero, as this actually fueled him to develop a great analytical mind. Though Izuku has various costumes for cosplay options, a lot of people really prefer to dress up as Izuku wearing his green battle suit. And there’s really a good reason for this. 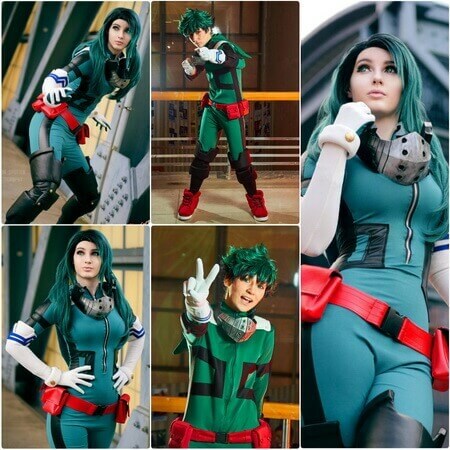 If you look at the Izuku Midoriya cosplay photos, you can see how awesome looking it is to dress up as Deku in his battle suit outfit. 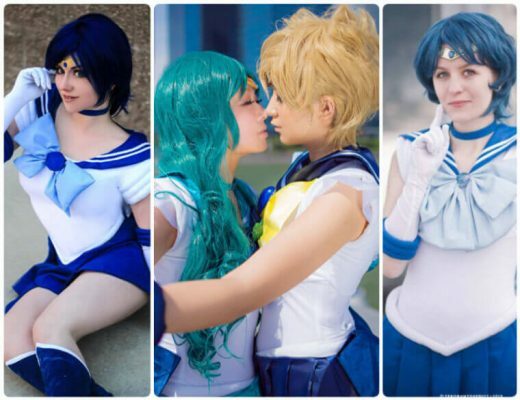 What’s even better is the fact that even females can dress up like this character, making it flexible for a lot of people.